Avoid the border, the dot can not survive outside the boundaries! 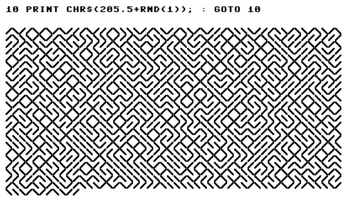 Use SPACE to shuffle the walls around the dot, but beware for every shuffle the maze grows even faster! Survive as long as possible ! 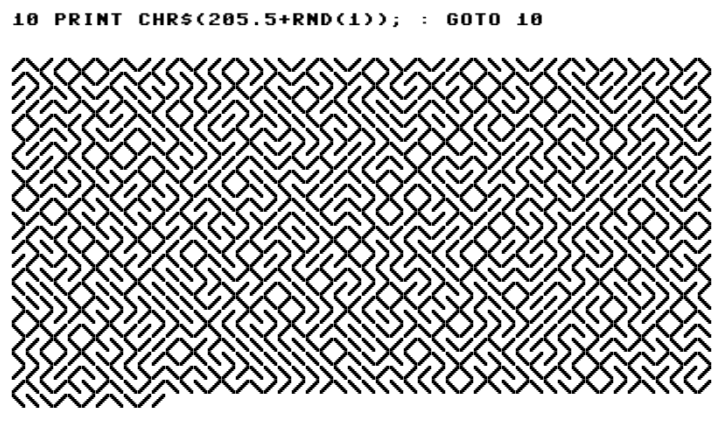 10 PRINT CHR$(205.5+RND(1)); : GOTO 10 is a one line BASIC program that generates a simple fascinating maze.